Here at The Healthy Back Institute, one of the most frequent questions we get from our readers is: What causes lower left side back pain? But over the years, I’ve learned that what most people REALLY want to know is: What’s the best way to get rid of lower left back pain? Not surprisingly, the two go hand in hand. The answer is that pinpointing the cause is the key to quick and lasting pain relief. That’s not always an easy thing to do. This article covers some of the possible causes — as well as how to treat and prevent lower left side back pain. First, let’s look at the different types of pain you might be experiencing. Being able to identify your pain can help you narrow down the cause. By the way, these apply no matter where you’re experiencing low back pain — whether it’s on the lower left side or lower right side. They’re even true if the pain you’re experiencing is in your upper back, too. Some people experience lower left back pain as a sharp, stabbing pain. This is called acute pain. 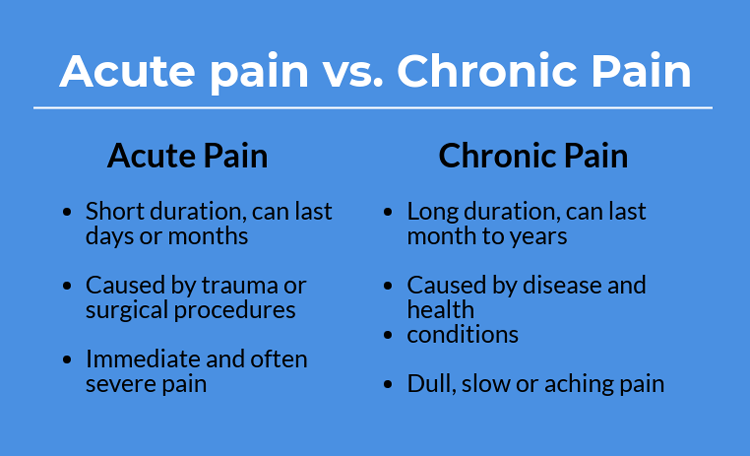 Acute pain generally doesn’t last a long time. When you injure yourself, like if you stepped on a nail, that’s acute pain. It’s immediate and often severe pain at the site of the injury. There’s identifiable damage to tissue. Eventually, acute pain goes away. Injuries heal, and the pain is gone. If you injure your back, there are a lot of factors that can come into play which can lead to chronic pain. Your body’s pain signal keeps telling your nervous system that it hurts, and the pain continues. Chronic back pain is no joke. It can limit your daily activities and have a severe impact on your quality of life. Breaking it down further, there are two general types of low back pain. Neuropathic pain: It’s caused by nerve-tissue damage. One example of neuropathic pain would be a pinched nerve. Nociceptive pain: This type of pain occurs outside the nervous system. It includes things like arthritis. 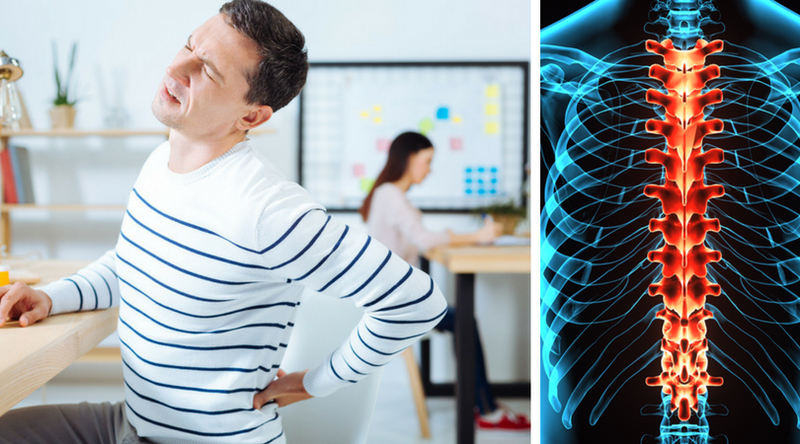 Pain can occur anywhere in your back, but this article will focus solely on the most common causes and best treatment options for lower back pain that occurs on the left side. There’s no single cause for pain in the lower left side of your back. And it can take some time to figure out the root cause of your problem. This is far from a definitive list… and I’ll tell you about a few more you should know about in just a minute. But first I want to talk a little more about muscle imbalances. In more than a decade of researching the true causes of lower back pain (and all other types of back pain), I find muscle imbalances to be the least understood (and the most common). These imbalances can happen anywhere in your body. They often develop as the result of the routine things you do while on the job, playing sports, or engaging in other activities you enjoy. Even if you’ve been to a doctor for your back pain (or sought any type of medical care, including chiropractic care), chances are they didn’t even mention muscle imbalances. So don’t feel bad if you’re not familiar with the term. The good news is there are effective treatments for muscle imbalances. This video explains how muscle imbalances affect your pain and how you can correct them. Does the pain in your lower left side extend through your buttocks? This might be a sign that you have a tightened sacroiliac joint. That’s the joint that connects the base of your spine to your pelvis. The protection around the sacroiliac joint is less effective than other back joints. That’s because your sacroiliac doesn’t have a disc. When a tightening of the sacroiliac joint occurs, you might feel pain in your buttocks, too. Because as your sacroiliac joint tightens, so do the surrounding muscles and ligaments. If it is your sacroiliac joint, many people find relief with chiropractic adjustments. Along with pain, you may have a need to urinate frequently. You may also have a burning sensation when urinating. If your symptoms are accompanied by fever, chills, vomiting, nausea or abdominal pain, you may have a more serious infection… like a kidney infection. These are serious warning signs that shouldn’t be ignored. In that case, it’s best to seek medical attention. Besides lower back pain, people with irritable bowel syndrome may also have abdominal pain, bloating, excessive gas, constipation, nausea, diarrhea, and cramping. Although they shouldn’t be confused with irritable bowel syndrome, inflammatory bowel diseases such as Crohn’s and ulcerative colitis can also cause pain in the back and abdomen. Osteoporosis is a condition in which your body loses too much bone, doesn’t make enough bone, or both. Pain caused by osteoporosis is usually the result of a spinal compression fracture. These types of fractures cause sudden, severe pain that are worse when you’re standing or walking. This condition occurs when there is a defect or stress fracture in one of your vertebrae and is usually found in the lumbar vertebrae, or lower back. Your gallbladder is a small organ located just under your liver on the upper right side of your abdominal area. Inside your gall bladder is bile, a liquid substance that helps you digest your food. Gallstones, which are more common in women, typically cause pain after you eat fatty foods. In some cases, the pain can radiate to other parts of your body, such as your chest or back. Kidney stones are made from minerals and salts that form inside your kidneys and often form when your urine is too concentrated. Although cauda equina syndrome (CES) is not common, this condition is a true medical emergency that requires a physician’s intervention right away. Cauda equina syndrome occurs when the bundle of nerves at the bottom of your spinal cord become compressed. Causes are varied, and can rage from a severed ruptured disc to a complication of an injury. If you’re a woman, lower left back pain may be a symptom of a gynecological disorder. And, if you’re overweight (especially if you’re obese), this could be the culprit behind any pain you have in the left side of your lower back. Generally speaking, weight loss and a healthy diet and lifestyle can significantly reduce lower back pain. So what should you do to treat lower left back pain? If you do seek mainstream medical advice for your lower back pain, you’ll most likely have to undergo a physical exam as well as other tests, such as x-rays, ct scans or an MRI (magnetic resonance imaging). In most cases, doctors will prescribe a pill for pain relief or suggest you take over-the-counter pain relievers like NSAIDs. These drugs can have serious side effects. For the vast majority of people with left lower back pain, there are safe and natural treatment options available. The following list of treatments has helped thousands of people around the world escape lower left back pain… and these methods could help you, too. I talked a bit about muscle imbalances above. The best way to treat them is with Muscle Balance Therapy™. This approach uses the results of special, personalized muscle balance assessments to design an individually targeted program of corrective exercises. These exercises will help take the stress off your muscles, joints and ligaments so you can achieve a more balanced body and eliminate the cause of your pain. Massage therapy can go a long way when it comes to easing lower back pain. In one 2011 study, 400 people with low back pain ranging from moderate to severe were divided into three groups. The first group got a relaxing Swedish massage once a week. The second got a weekly massage that focused on muscles around the hips and lower back. The third group kept receiving their “usual care” — which could be anything from taking painkillers to seeing a chiropractor. Many chiropractic offices have massage therapists on staff that can work with your chiropractor to deliver the most effective therapeutic plan for your particular type of pain. Trigger points are the tight, aching knots you feel in your back (although can occur in other places like your hips and legs, too). They can cause “referred pain,” which means they can cause pain in seemingly unrelated parts of your body. Things like headaches and joint pain. 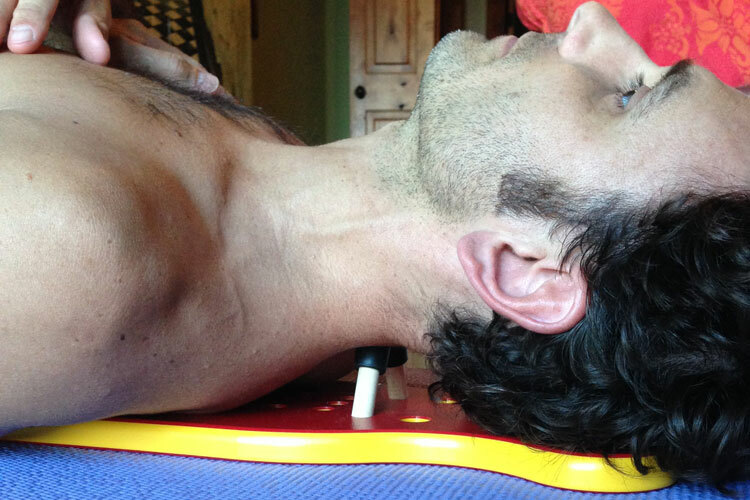 Trigger point therapy involves applying deep manual pressure to trigger points. You can get this type of treatment from a skilled physical therapist, massage therapist, chiropractor or trigger point specialist. Just as the name implies, inversion therapy is when you hang from your feet upside-down to relieve pressure on your back and the discs in your vertebrae. In a nutshell, inversion tables allow gravity and your own body weight to do all the work. The therapy has been around for thousands of years, but modern medicine hasn’t quite caught up yet. Fortunately, that’s starting to change. In 2012, researchers looked at two groups of patients who had sciatic pain and were scheduled for lumbar disc surgery. One group received routine physiotherapy. The other group received physiotherapy AND inversion therapy. Learn more about the many health benefits of inversion therapy and why it works right here. The ancient practice of acupuncture involves the insertion of very fine needles into targeted areas of pain and discomfort. The Chinese believe this stimulates your inner energy, known as Chi. It’s believed this process stimulates the production of endorphins and promotes blood flow to help speed up healing. Acupressure is another option. No needles are involved. Instead, the therapist applies pressure to targeted pain areas. Stress is one of the biggest, and most underrated, underlying causes of back pain. Negative thoughts, or even thinking about a stressful event, can trigger a chain of physical reactions in your body. Your muscles tighten — and this can cause imbalances that lead to pain. That’s why I always tell people how important to reduce stress as much as possible. 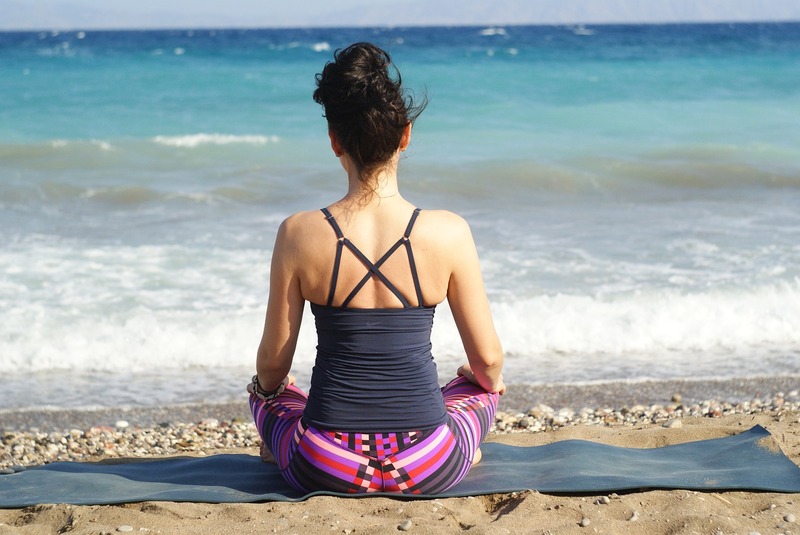 And practicing relaxation and meditation techniques, as well as journaling, have all been proven to have a positive effect on emotional well-being. As little as 10 minutes being still, breathing deep, and centering your thoughts has been shown to quiet both mind and body after a stressful day. Inflammation caused by many of the foods we eat today leads puts tremendous strain on your organs, muscles and nerve endings. It triggers a breakdown in your back muscles and overwhelms your pain receptors. Some o the worst inflammation-causing foods are refined grains, dairy, omega-6 fatty acids, sugar and processed foods. Water re-inflates the discs in your spine after they’ve been depleted throughout the day (Your discs are mostly made of water). It helps flush toxins out of your system. It cushions your muscles and helps your joints function more smoothly. Eight glasses a day is a good general guideline for most people. I’m sure you’ve heard this saying before: “An ounce of prevention is worth a pound of cure.” I’m a firm believer in that. Here are a few things to keep in mind as you go about your day. Following these tips can help stop lower left side back pain before it starts. Improve your posture: Your posture matters — a lot! Try to keep an upright position when walking and sitting. No slouching! Lift the right way: Always, always, always use your legs when lifting heavy objects. Sure, you’ve heard that advice before, but it’s too important not to repeat. Make sure you don’t bend from the waist. You’ll dramatically increase your risk of injury. Build core strength: Exercises that strengthen your core (abdomen and back) will help reduce your chances of injury. I’m a big fan of pilates for building up core strength. As you strengthen your core muscles, you gain extra support for your spine, which not only helps relieve pain in the lower left side of your back (and the rest of your back, too), but also improves posture. Stretch daily: Stretching improves circulation, reduces stress, makes you more flexible, and improves balance and coordination. The key is to focus on one major muscle group at a time, making sure to stretch muscles on both sides of your body. Start with just 5 minutes a day, and increase the amount of time you spend stretching by 5 minutes each week until you reach an hour. ii “Kidney Infection.” Mayo Clinic (mayoclinic.org) Accessed October 28, 2018.
iii “Cauda equina syndrome overview.” WebMD (webmd.com) Accessed Oct. 28, 2018.
iv Cherkin DC, Sherman KJ, Kahn J, et al. 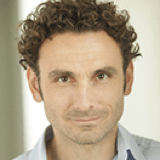 A comparison of the effects of 2 types of massage and usual care on chronic low-back pain: a randomized, controlled trial. Annals of Internal Medicine. 2011;155(1):1–9. v Prasad, KS et al. “Inversion therapy in patients with pure single level lumbar discogenic disease: a pilot randomized trial.” Disabil Rehabil. 2012;34(17):1473-80.
vi “Acupuncture-Like Treatments Improve Low Back Pain.” National Institutes of Health (nih.gov) May 18, 2009. When passing urine it takes much longer to empty the bladder. My lower left back pain is more severe first thing in the morning. I suffer from Arthritis as well but this is much better now. Lately, I have been feeling a lingering and dull pain in my left leg, specifically around the knee area but a numbness through the leg. I have had sharper pains in my leg in the past, but today I suddenly felt a sharp pain on my lower left back just above my left buttocks. The pain is excrutiating! I have managed to shift my body so that it doesn’t hurt much, but any sudden move I know the pain will shoot right back. What is it and how can i fix this? Seems like “sacro-iliac joint” pains. After reading the book, try a soak in warm/hot bath. Then try applying a wrapped ice pack. See which helps most and keep using it, for 10 to 15 minutes. Personally, I find alternating heat/ice, heat/ice to be most effective. Keep active & exercise, but don’t overdo! De-stress often: meditate, walk in nature, talk with friends. Recognize that life will have some pain, but if it didn’t, how could we appreciate the great days? Thank you for your enquiry.A very good starting point for you is to get our free back pain book which will help you to understand more about the back and to discuss various treatment options. You can learn more about it on the link below. Please let us know if there is anything else we can help you with after you have read the book. Nice article. I think back pain management particularly during pregnancy is a must. One should take good care of herself. For the past few days I have had really sharp pain in one confined spot on my lower left back that occasionally radiates down my left side (down my leg and up to my shoulder). Other than those times it’s been limited to one spot. I haven’t had any numbness or tingling, just really bad, sharp pain no matter my position. I’ve looked things up online, but nothing sounds like what I’ve been feeling. I had something like this happen last year, but it was much more severe. Last year it lasted for about two and a half weeks and it’s been less than a week this time. Thank you for your question. Our free back pain book will help you to understand more about the back and to discuss various treatment options. This may be a useful start for you. Please read more about it on the link below. I’ve been suffering lower back pain on the left side for approximately 1 year now. I only experience it at night after lying on my back after a few hours. It then goes away a couple of hours after I get up in the morning. I have no pain all day or evening. I have had a ultra sound and urine annalysis with no results. What could the cause be? Thank you for explaining your issues. We would like to help and feel that you may find it useful to read our free back pain book which will help you to understand more about the back and to discuss various treatment options. This may be a useful approach for you to start with. Please read more about it and get your free copy via the link below. We would like to help and our free back pain book will be a good starting point to help you to understand more about the back and the treatment options that you can consider. Please read more about by following the link below. Thank you for your query and explaining your pain. We would like to help you. A good start for you is to please take a look at our free back pain book which will help you to understand more about the back and the treatment options for you to consider. Please read more about by following the link below. It is wise to have a check up with your doctor as well. Today at work I noticed my lower back was very tight and sore. As the day went on, it got worse. At home I have a shooting pain from my lower left back through my buttocks down my leg. I am suddenly very stiff, and in pain. I am a receptionist and I have not done any strenuous activity recently. Any ideas? Do get yourself a copy of our free back pain book which will help you to understand the possible causes of pain, various treatment options, pain relief options and steps for you to consider. Please read more about by following the link below. I suffer from pain in my back only at night. The pain is more to the left side spreading over to the front, just below my ribs. What I find strange, is that even though the are is tender to touch during the day, I suffer from severe pain mostly at night when lying down. Any ideas what it could be? I am not losing wieht and I do have a spactic colon, but it is more or less under control. To help you understand more about the back and possible causes of pain get yourself a copy of our free back pain book. It also details treatment options and pain relief for you to consider. Also consider getting a check up by your physician. I have trouble with my sacrum and sacroiliac joint coming out of place. It is excrutiating and the pain totally takes over my body from the pain at the source, to my mood and even my thoughts. I haven’t found anything yet that prevents it happening. I only know that Osteopath appointments and cranial sacral therapy are what fixes it again. 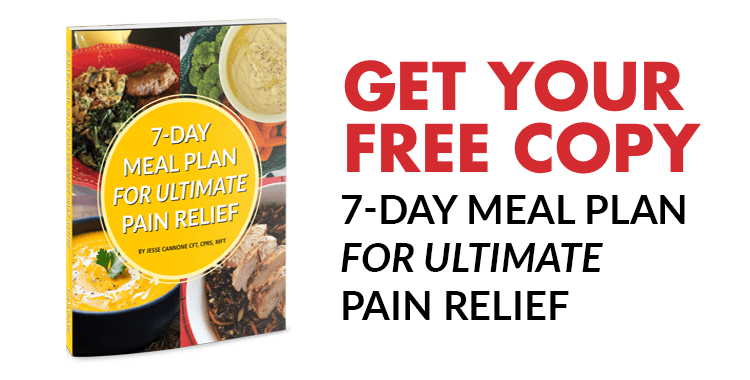 You may like to get a copy of our free back pain book The 7 Day Back Pain Cure. It will help you understand more about the back, treatment options and pain relief for you to consider. We hope you find it helpful. Please help; around last november i had small kidney stones and was in pain in the front of my lower left stomach for weeks. The pain left then i started getting pains on the same location but only on my back. This pain has been going on for months now and i don’t know what to do. It hurts when i lay down, and when i sit down and get in a specific position. 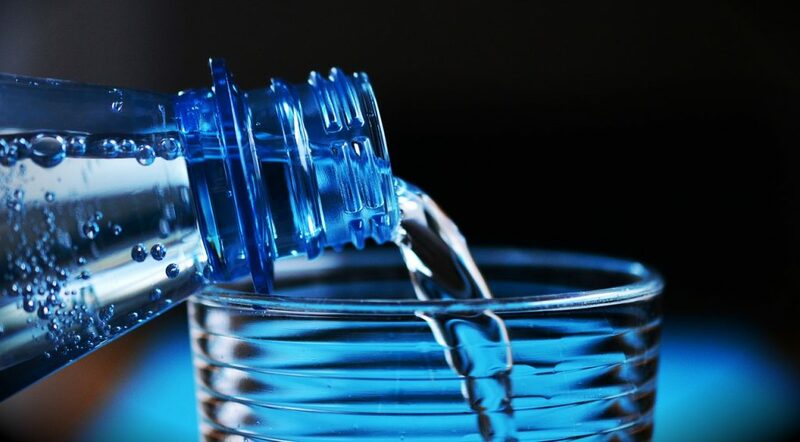 I have been experiencing left back pain every time I drink any type of drink whether it is water, juice or coke (but not alcohol). The pain comes and goes but unexpectedly. I first started experiencing it yesterday night while i was drinking hot chocolate. Then today it came back again but went away after I finished eating. It is a sharp pain that feels like it shoots up the left side of my back. having pain at left back side as well as lower abdomen it is like something burning inside, sometimes for 1 or 2 hours i got relief from pain but all the time it pains a lot,,,, Kindly suggest what it can be…. I have pain in the lower back pain sometimes is on the right and sometimes on the left side since from last year November till today please help me. I try to go to the Doctors but nothing is helping. I have been having a pain in the middle of my back that goes all around my whole side to the front of my tummy its feels like a burning achey pain. Help??? my problems is left side lower back pain not too much i can telarateted but 4to 5 years ago started my left side hip , left sight west and left side thiigh and knee really bothers. when specially i walked my left whole leg bothersme and i became a slow not too much pain feels discomfrot. my problems is i sit too much time on sofa. . after sit long time then feel walking problems. if i lees sit sofa lees bothers. what is that . i had kidney transplant 1992. dr can not catch it. what is the solution. some time whole leg left side bothers. Thank you for posting with your symptoms and questions. Please get yourself a copy of our Free book the 7 Day Back Pain Cure. We believe that education is the number one step for anyone and key for dealing with backpain issues, so suggest as a good first step to help you. hi my back is spasming on the left side. it normally occurs between the Base of the shoulder blade and the Base of the spine. it normally starts around late afternoon and lasts until I have a bath after I get home. Thank you for your comment and we would like to help. We feel that education is key to understanding and addressing back issues and suggest for further information to help you a copy of our Free book, “The 7 Day Back Pain Cure”. The book discusses back pain and related conditions, pain relief methods to try, treatment options to consider, causes of back pain, pain relief action plans and other useful information related to back pain. You may like to consider getting yourself a copy of and reading our free book the “7 Day Back Pain Cure”. We feel education is key to understanding and addressing back pain issues and it may help you to understand your back pain better. The book discusses back pain, sciatica and related conditions, pain relief methods to try, treatment options, causes of back pain, pain relief action plans and other useful information related to back pain. Let me ask you, did you were you given a specific diagnosis? My lower left back pain caused 2weeks ago..it is slight pain most of time..but it never ends the pain still now..what i can do?.. Thank you for sharing and we would like to help. We believe education is key to addressing back pain issues and would suggest you please get yourself a copy of our free book the “7 Day Back Pain Cure”. The book discusses back pain issues and related conditions, pain relief methods to try, treatment options for you to consider, pain relief action plans and other helpful information related to back pain. Hi,I am 21yr old female.I am suffering from lower back pain since 2/3 months.I started doing Yoga in December.After a couple of days I got severe back pain in the centre and left side.The doctor said it was due to weak muscles and prescribed me muscle relaxants.In Jan I started with yoga again and just did back strengthening exercises and pranayama.I lifted something heavy and the pain started again.So I went for physiotherapy for about 10 days and the pain became less.I again began Yoga but in a week’s time my back started to pain again.As per the doctor I have no severe problem..but now my back hurts I don’t know what to do.Pls help.To give u a background..I am tall and have never done any physical activity before aprt from walking,badminton.I have sriff body.What should I do?I am depressed thinking about my life. Hi, I have had pain in my lower left back for the past week. It feels like my sciatic nerve but it isn’t radiating down my leg please advise? Can it it be your your sciatic nerve without the pain running down the back of your leg? My leg feels like it wants to buckle at times or it causes me to limp. Thank you.